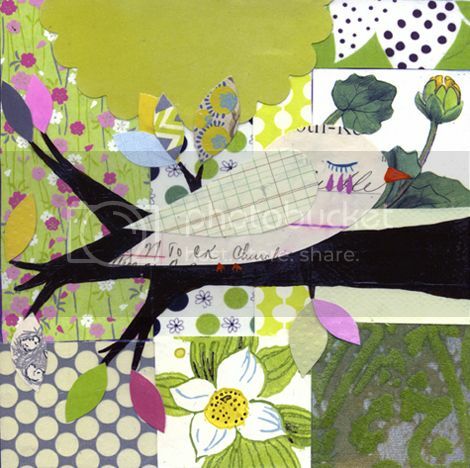 I believe art/photography/scrapbooking are all related and have similarities. 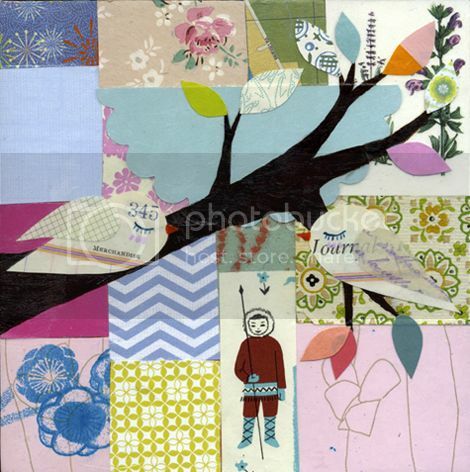 You can use photos in art and they're a must in scrapbooking. 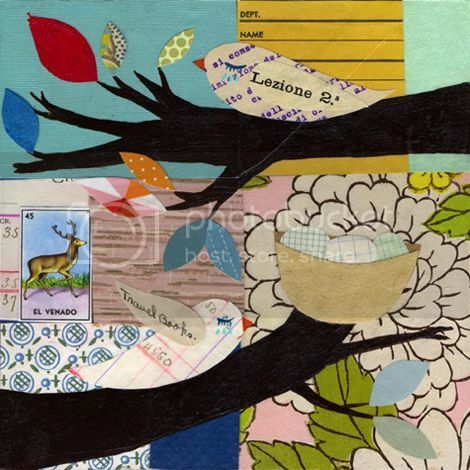 Scrapbooking combines art and photography. You can photograph art and photography is art. Get it? Got it? Good. 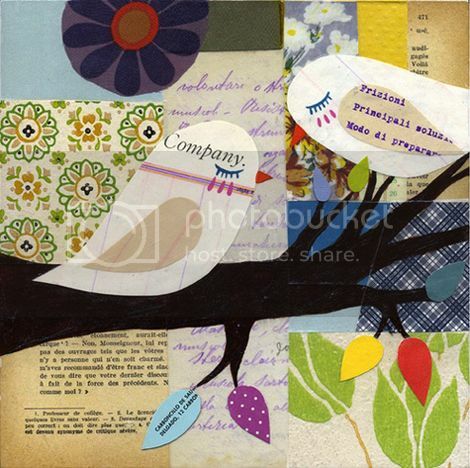 When I saw these pieces by Mati Rose McDonough I immediately thought "what a lovely combination of my favorite things in life = art, photography & scrapbooking!" 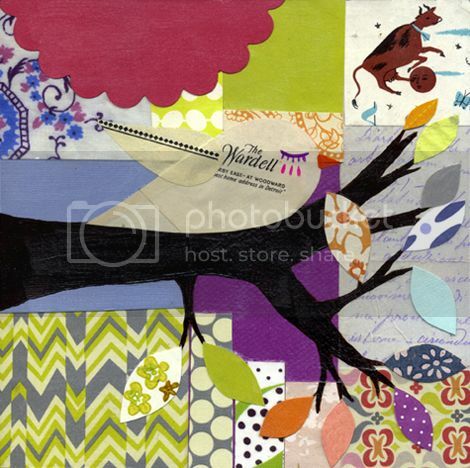 I love the branches and pieced birds and the hand cut leaves and I love the patterned backgrounds and everything else about them. I can't wait to go make something cuz I'm feeling major mojo vibes from these. Those are so fun. Love them. Totally fun project to do. btw, got the Christmas card. Love it! Thanks! Can't wait to see what you come up with, Pailge! The pictures of you and Chris are great! You guys are so cute! Congrats again on being asked on the DT for Elle's Studio... that is awesome! 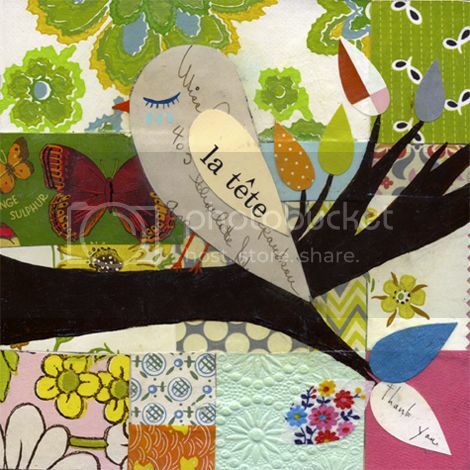 I am inspired too, I love art/photography and of course, lol, scrapbooking. They do go together to me too!